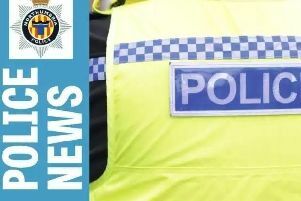 Neighbourhood police officers across Northumberland are encouraging farmers and rural communities to take extra steps to secure their property – especially around quad bikes. Neighbourhood Inspector Pam Bridges said: “We know quad bikes are an essential part of farming, especially around lambing season, but there are simple steps that people can take to help protect their property and machinery from potential thieves. “It’s also important for homeowners to keep their property safe and secure by locking windows and doors so that keys can’t be taken for these vehicles. Steps to secure property can include removing keys from unattended cars, tractors and quad bikes; marking property with postcode or farm name; fitting a tracker device or immobiliser; and recording serial/chassis numbers in case of theft.